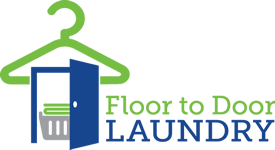 Floor To Door Laundry is a locally owned and operated business. Owner Tom Naples opened his first self-serve laundromat in June of 1993 and has been actively servicing the industry ever since. For over 22 years we have been providing Premier Wash, Dry & Fold services in our laundromats. We encourage success through hard work, eagerness to serve customers with excellence and striving to treat people with respect and dignity and that is why our customers keep coming back for our services. From an owners perspective it makes economic sense to offer the best service to our customers because it promotes loyalty and return patronage. We believe that “Our Service Is What Separates Us From The Competition”. Floor To Door Laundry is one of the few mobile Wash, Dry & Fold Laundry services, providing pick up and delivery services for homes and offices. Our professional and friendly team makes your time and clothes our priority, so you don’t have to! Our business is about picking up and delivering your laundry on time in the most professional and friendly manner.